The recent Inc. 500 CEO Survey revealed some fascinating results about how companies grow. Three insights especially stood out from the rest and each is somewhat counter-intuitive. The first insight pertains to where these fast-growing companies’ revenues come from. The stereotype of a high-growth, early stage company is that of an inspired entrepreneur with an idea, a vision, and a passion for what they do. They work endless hours working to make their vision come to fruition. The stereotype continues with the idea that through sheer determination, they build their vision into a significant force. But the survey tells a different story. The reality is that 70% of the companies surveyed generated more than half their revenue from products and services introduced within the prior three years! The brunt of their revenues didn’t come from the entrepreneur’s founding product/service. (In fact, over 50% of the companies derived more than 75% of their income from recently introduced products/services.) This phenomenon is not just relegated to early stage, start-up operations. Consider Apple, where a review of their growth shows that about 80% of its revenues come from products which didn’t exist in its first 30 years in business. 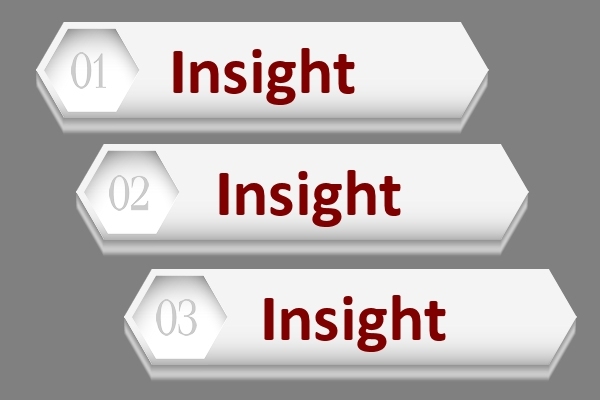 The second insight pertains to where a company’s best ideas some from. Intuitively, it makes sense that the best ideas come from the founding entrepreneur. After all, the founder is the one with the clearest vision and greatest passion. Additionally, intuition suggests that the next best source of great ideas resides with the employees of the organization. They are the ones who are most inspired by the leader and spend the greatest amount of time and thought on the products and services offered by the company. But once again, the survey tells a very different story. According to the results, the best sources of great ideas are the company’s customers! And while it’s true that the second best source is the CEO/Founder, almost 60% of the best ideas come from sources other than the CEO and the employees! The third remarkable insight pertains to how and where CEO’s come up with their best ideas. The inclination might be to think that most ideas come during work, followed by the quiet time spent commuting. And this observation would be accurate, except for one important fact. The ideas generated by the CEO in the office and in the car only account for 36% of the best ideas he or she comes up with! The survey reports that almost 2/3 of a CEO’s best ideas come while in the shower, on vacation, and during many other non-work-related activities. What are the implications of these insights? The first implication is that it is a mistake to rest on one’s laurels by simply pushing an initial good idea harder and harder. The key to big growth is innovation. The second implication is that it is a mistake to only seek counsel from within. It is essential for fast growth to look outside the company for the best solutions. And the third implication is that it is a mistake to think that as a CEO, the best productivity occurs within the walls of the office. It is essential to get out from behind the desk and away from the demands of the office in order to gain new perspective and generate great ideas.